SRM’s precision accuracy built into a LOOK carbon pedal body! SRM has partnered with LOOK to create their latest power meter offering – the SRM LOOK EXAKT Power Meter Pedals. 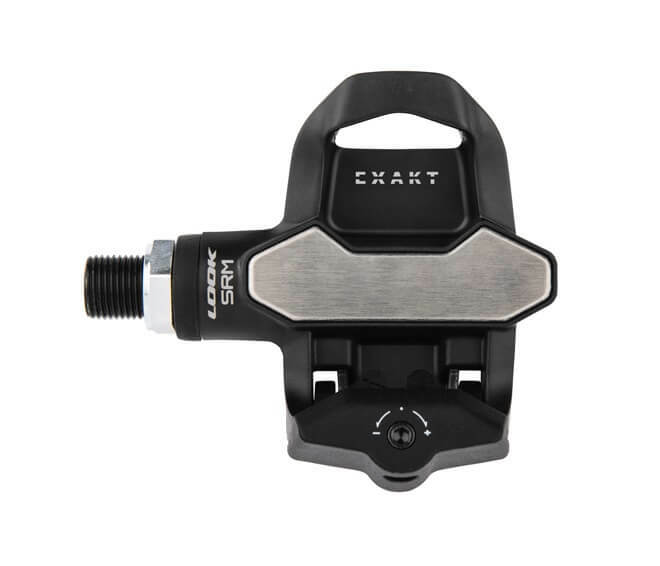 Built on a LOOK carbon pedal body when ensures an incredibly light and stiff pedaling platform, the SRM LOOK EXAKT features a fully integrated design with all of the electronics and sensors housed inside the pedal body. This results in a clean, professional look. 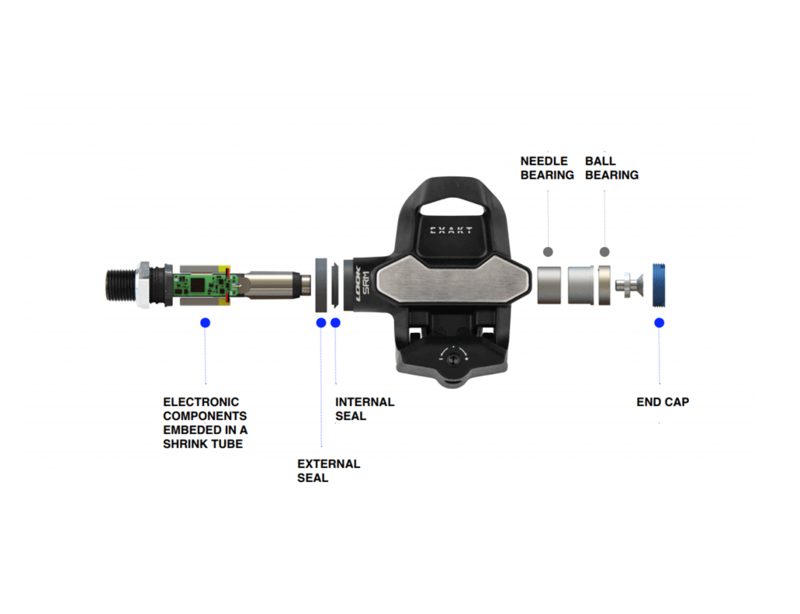 The EXAKT also benefits from SRM’s renowned engineering and precision and is cited accurate to +/- 1.5%. Available in both dual-sided and single-sided versions, the SRM power meter pedal comes with all the features you would expect in a modern-day power meter. The EXAKT offers dual ANT+ and Bluetooth SMART compatibility, a rechargeable battery with 100 battery life and even features a built-in magnet for precise cadence measurement. Lastly, SRM and LOOK offer a smartphone app that among other things, allows you to check for proper installation, monitor your firmware and complete your pre-ride calibration (zero-offset). The SRM LOOK EXACT benefits from SRM’s renowned engineering and precision – having been building power meters for close to 30 years – and is cited accurate to +/- 1.5%. If you opt for the dual-sided version, you get a power meter that not only provides power measurement from both legs, but is capable of providing left/right power balance as well. The SRM power meter pedal features a lithium-ion rechargeable battery which provides 100 hours of battery life on a 5-hour charge. Built on a LOOK pedal similar to the Kèo Blade pedal, the SRM power meter pedal features a fully integrated design resulting is a very clean, professional look. Featuring both ANT+ and Bluetooth SMART capability, the power meter can be used with virtually any bicycle computer, wrist-mounted watch or smart phone. The SRM power meter pedal is compatible with any road bike and can be installed in minutes. This also makes moving the power meter from bike to bike quick and easy. The SRM LOOK EXAKT is available in two models: the Dual with a power sensor located on each pedal and the Single with a power sensor on the right pedal only. If you purchase the Dual, you also have the option of bundling your EXAKT with the SRM PC8 head unit. Note that you save $249 on the PC8 when you bundle it with the Dual. 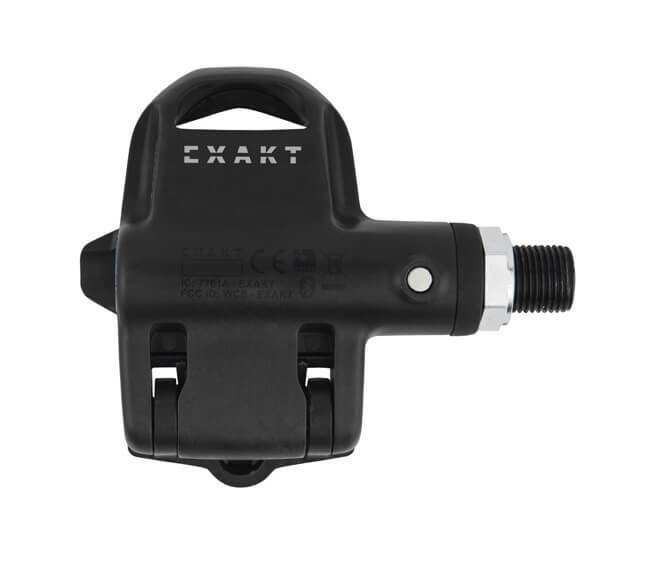 The SRM LOOK EXAKT comes supplied with grey 4.5° degree float LOOK Kèo cleats. You also have the option to purchase black, 0° degree float (fixed) or red, 9° degree float LOOK Kèo cleats.